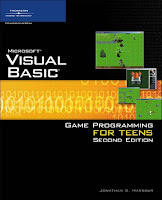 Microsoft Visual Basic: Game Programming for Teens / Jonathan S. Harbour (Author) .If you have basic programming experience, this book is your ideal guide for writing games using Visual Basic .NET and Managed DirectX 9. This Second Edition includes almost entirely new coverage. 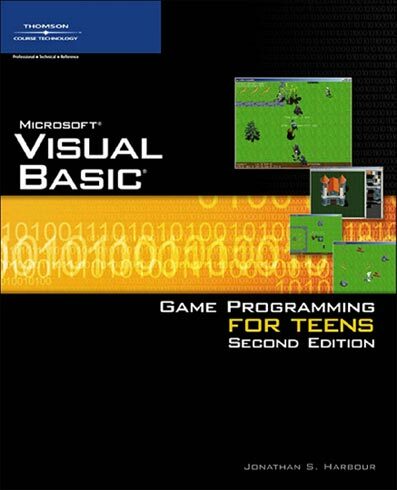 While coverage of game design and 2D artwork remain, this edition includes more detailed coverage of the DirectX game code and utilizes the free Visual Basic 2005 Express Edition compiler. A true beginner's guide, this book covers each essential step for creating your own complete role playing game, including a character creation screen and a combat system. This book serves as a comprehensive introductory guide for readers who are new to programming or new to programming for games.